Active Campaign is a great system to use to manage your email communications. In this article I’m going to dive into what these systems are, why you need them, and why I think Active Campaign is the best solution for most practices. If you’ve been following my material for any length of time you’ll know that I’m a big advocate of email marketing. Email marketing offers a great opportunity to communicate your message directly to your target audience’s inbox. While traditional post has a better open rate and can convey a stronger message, the costs and logistics involved really don’t tend make it worth the effort. Uses of email marketing in your practice include patient education emails for new patients, email newsletters to keep in contact with existing and dormant patients, and email sequences pre-educate people who are interested in your service before they become a new patient. 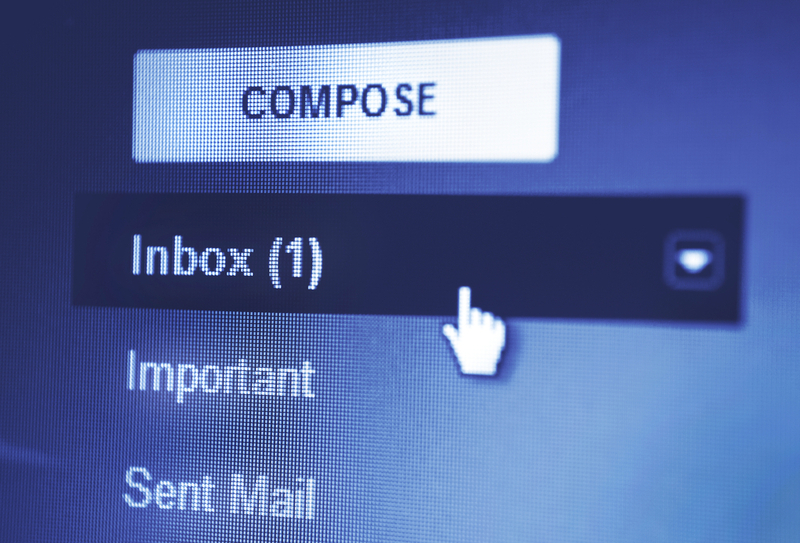 If you’re going to use email in your practice you need to be able to manage your interaction with your subscribers so as to be compliant with things such as spam laws. You also need to be other to ensure that your emails are going to be delivered to people’s inboxes and not end up in spam folders. For these reasons you really have to use an email management service (EMS) and not send emails directly from your own (or clinic) inbox. There are a number of email management services available on the market. Some of the more popular ones include services such as Aweber, GetResponse and Mailchimp. There are also other high-end solutions such as Infusionsoft and Ontraport. Unfortunately none of these services offer an optimum experience for most practices. The system that we recommend is called Active Campaign. Active Campaign Versus Mailchimp and Aweber. Prior to becoming familiar with Active Campaign we used to recommend Mailchimp. It is a good basic system for delivering emails to people, with the price point that makes it attractive the most practices. However Active Campaign offers a far more powerful system at a very similar price point to Mailchimp, so it is difficult for us to continue to recommend it. If you’re currently using Mailchimp and are happy with the features that it offers then by all means continue. However if you want to take your marketing to the next level you will need a more powerful system like Active Campaign. Aweber is a similar tool to Mailchimp, however many of it’s systems are even more basic. Seven or eight years ago Aweber was a great system, but it has failed to keep up with developments in email marketing. Active Campaign Versus Infusionsoft and Ontraport. Ontraport and Infusionsoft are high-end email management systems that offer incredible features for list segmentation and interaction with your email database. This is particularly the case for Infusionsoft. We used to use Ontraport for our company system but quite frankly it has a terrible interface and it’s system is far from intuitive. For that reason (and price) we switched to Active Campaign. The beauty of Active Campaign is that it offers most of the features available in these high-end systems at the price point of Mailchimp and Aweber. In my opinion you would be crazy to choose any other system. Why Else Is Active Campaign So Great? Traditional email marketing systems offer the ability to send out broadcasts to your list of emails as well as the ability to produce what is known as an autoresponder series. This is a series of emails that are sent out automatically at predetermined intervals in order to educate and inform. Almost every email system office this. But this is where systems like Mailchimp and Aweber stop. The more advanced systems like Infusionsoft and Active Campaign offer the ability to tag users according to actions that they take in relation to your emails and your website. For example, if you have somebody who subscribes via Facebook campaign to find out more about your clinic, you can send them a series of emails to educate them and try and convince them to become patient. With these advanced systems once they become patient you can set things up to automatically remove them from the initial educational sequence they were on and place them onto another different system designed to educate your new patients. All this can be done automatically without you needing to be manually making changes. You can also tag people according to their particular interest. For example you may be running a campaign just cyclists. With these high-end systems you can tag that person as being interested in cycling and therefore deliver them more relevant information. The reason that we choose Active Campaign over Infusionsoft is price point. Setting up Infusionsoft will set you back in the region of US$1500+ and the monthly fees start at US$200. Active Campaign starts at US$9 a month for up to 500 subscribers. Big difference! To check out Active Campaign, visit this link here. If you need any help getting started with it, drop us a line. We’ve helped lots of clinics implement email marketing systems that deliver new patients and improve retentions. The links in this article are affiliate links, meaning we earn a commission if you sign up for that product. Please rest assured we only recommend products based on their suitability for what we feel will be best for our readers. Please take the time to fully assess the product to determine if it is suitable for your needs before purchasing. If you’d like more advice, get in touch via our support page or book one of our Strategy Sessions.